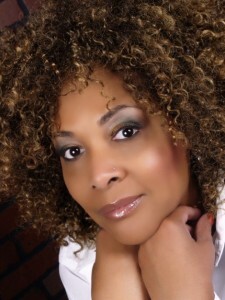 When I knew I was going to interview Julie Dash I was incredibly nervous. I had written two papers on her at the Graduate Center and was a big fan of Daughters of the Dust when I was an undergraduate at UCLA. So needless to say I was thrilled at the possibility of speaking with her about her work. My nerves soon dissipated because she was so incredibly kind and charming. Julie Dash made history in 1991 when she became the first African American woman with a theatrical release of a feature film with Daughters of the Dust. Before that, as a student at UCLA, she was part of a cinema movement now known as the “LA Rebellion.” The Outlaws, as they called themselves, included filmmakers such as Charles Burnett, Larry Clark, Haile Geima, Aile Sharon Larkin, and Barbara McCullough. When I was a student at UCLA I remember being exposed to the films of Charles Burnett and Larry Clark – but it wasn’t until much later that I became aware that Julie Dash was also a part of the group. Through Women Make Movies I was able to acquire a copy of her short film Illusions – and learn even more about the wonderful talents of Julie Dash.